Last month we had a party for our Stampin’ Up! Riverton family, and this month we had a fun party for our Kanab family. Sterling and I drove down and back in one day—we’re leaving tomorrow for our South Pacific convention, so we didn’t have much choice. We weren’t really looking forward to the drive, but we knew once we arrived, it would definitely be worth it. And we weren’t disappointed. Our expectations were met—and exceeded! What a fabulous evening. The weather couldn't have been better, and things began with a catered dinner. Once everyone’s tummies were full, they settled in for the evening, visiting and enjoying the activities that were planned. And there were definitely fun things planned. Several games, water balloons, a blow-up slide, and—my favorite—a rubber dig, for both children AND grown-ups. Not at the same time, of course! The kids dug in the rubber for candy and treats; the adults dug for gift cards. And they really got into it! It was great fun to watch. We ended the evening with a showing of Disney’s Frozen on a blow-up outdoor screen. My only regret was that Sterling and I couldn’t stay—we’re driving back as I post this. But you can see by the photos that a great time was had by all. So glad we could make it, and thanks to everyone who came! 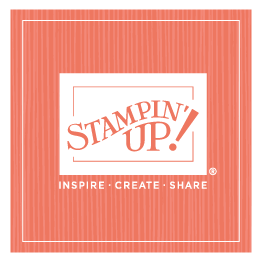 We appreciate our Kanab Stampin’ Up! family so much—we work with some amazing people!